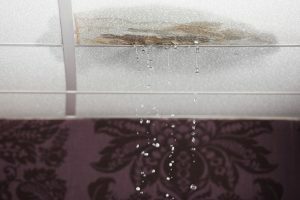 Is There Water Damage In My Home? | Sincerely Yours Inc.
Not all water damage hits you in the face like a flood does. Some water damage can be more subtle, but its effect can be pretty devastating. Obviously, if you have a leak, or standing water, or a mudslide actively working its way into your home, then you are for sure in need of water damage cleanup in Irmo. Here are a few examples of more subtle water damage that you can have Sincerely Yours Inc. help you with. Soft spots in the flooring of your home can be due to small leakage over a long period of time. These are typically found in the kitchen or the bathroom where appliances may be leaking or you have regular spills that are not cleaned up right away. One of the more common areas for soft spots is around the toilet, and even if your toilet isn’t currently leaking, there may have been an issue in the past where the moisture was not dried thoroughly. This is something that could be very dangerous for you and your family, especially if it is located on a second or third story. The toilet could even potentially fall through the floor if it isn’t seen to. Mold is dangerous a dangerous type of water damage to clean up yourself and can be a very tricky thing to find. You might only be able to tell that you have mold growing in your home based on some health symptoms of respiratory issues or headaches. If you have these health problems and they are unexplained, it would be worth your while to have Sincerely Yours Inc. come to take a look inside your home to try and locate it. Moisture can be trapped within walls or floors and mold could be growing out of sight. You can also usually tell that you have mold or mildew growth by smelling it or by seeing it if is without the walls. Leaky pipes will make themselves known after a while, but initially, it can be a very slow build up of water before you notice them. One way to know you have leaky pipes is if you start seeing staining or sagging in your ceiling or walls in your home. Moisture could be leaking out but in such small amounts that it isn’t a full-on trickle in your home. You might also, in some cases hear a dripping before you see any other signs of water damage. Floods and hurricanes aren’t the only situations where you will require some water damage cleanup, but they are the more obvious and popular ones. You will probably never see leaky pipes in the news, but it is important to keep an eye out for issues in your home as they come up and call professionals at Sincerely Yours Inc. for help when you need it. Even if you can’t see water damage, it doesn’t mean that it is any less important to have taken care of immediately.